The West Linn-Wilsonville School District announced Feb. 7 that Helena Kilstrom had been named the new school garden coordinator at CREST (Center for Research in Environmental Sciences and Technologies). Kilstrom has been involved with CREST since 2015, when she first started volunteering there. She ended up working summer camps and field trips at CREST and for the past two years worked as the center's Farm Educator. Kilstrom's first focus as school garden coordinator will be the gardens at the district's nine primary schools. "Not all of them (the school gardens) are being utilized to their full potential so my job is to help coordinate support from the school community, whether that's parents or community members or teachers;, also helping more teachers use the garden space for their everyday lessons," she said. Kilstrom's roots are on the farm. She grew up on an organic vegetable farm in California and studied agricultural science at Oregon State University. It was during her time at OSU that she first started educating others on where their food came from. "When I moved up here, I realized most of my friends in college didn't understand where their food comes from. There was a disconnect of understanding the seasons and what grows when and how far away some foods are shipped just for us to enjoy them during certain parts of the year," she said. These are exactly the lessons Kilstrom hopes to instill in the students of the WL-WV school district. 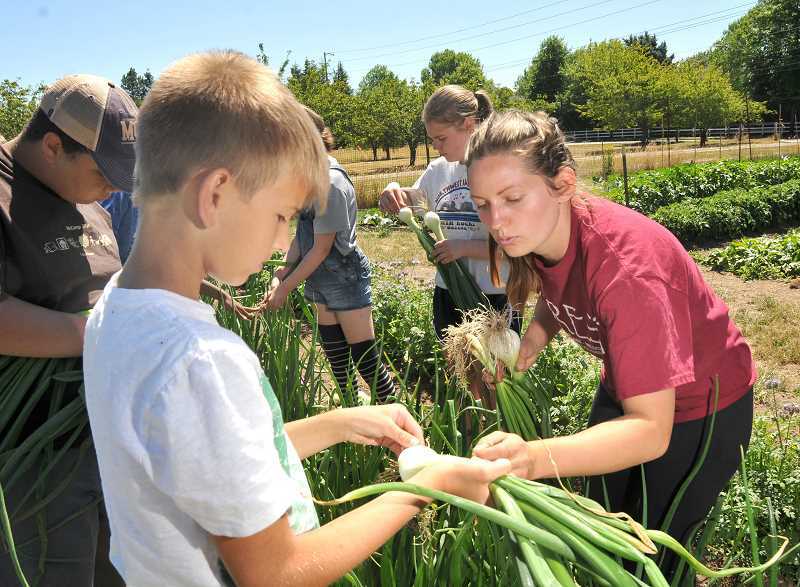 "I'm hoping that now, when students graduate from the West Linn-Wilsonville school district, they leave with a greater appreciation for where their food comes from and also appreciate being outside and all the wonderful resources that surround us in the state of Oregon," she said. Kilstrom's role as garden coordinator is one of three new positions created after CREST director and founder Bob Carlson retired. Maintaining the gardens at all nine primary schools is no small task, so Kilstrom is recruiting volunteers to join the schools' garden committees. She asks that members of the committees attend four work days each school year and assist with at least one classroom lesson in the garden each year.